Hello! 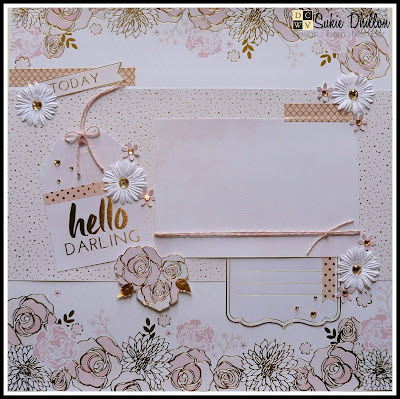 This is Sukie from the Social Media Design Team sharing a single page 12x12 layout created with the new Blush Stack available at AC Moore. 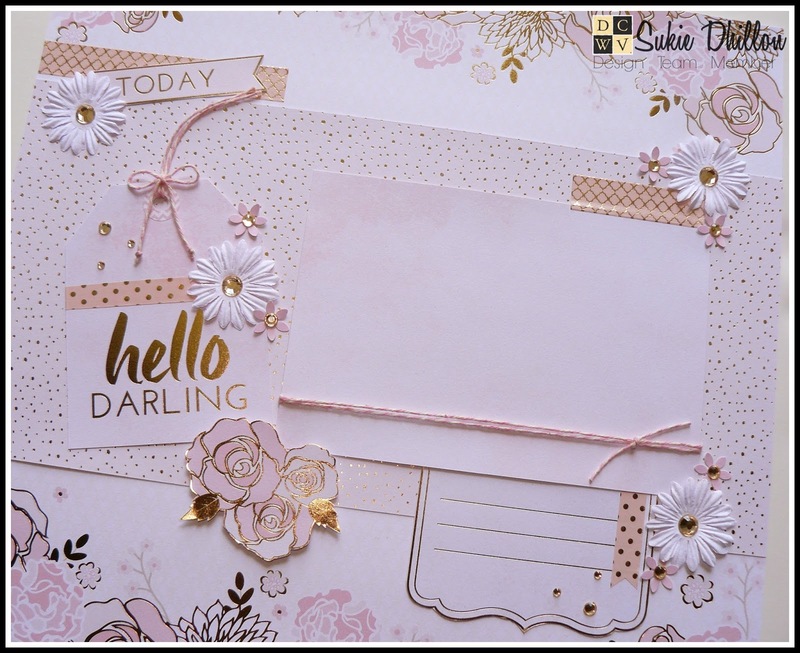 This stack is a beautiful mix of soft pinks and whites with gold foil accents. When I saw the elegant papers I knew I had to create a layout page. 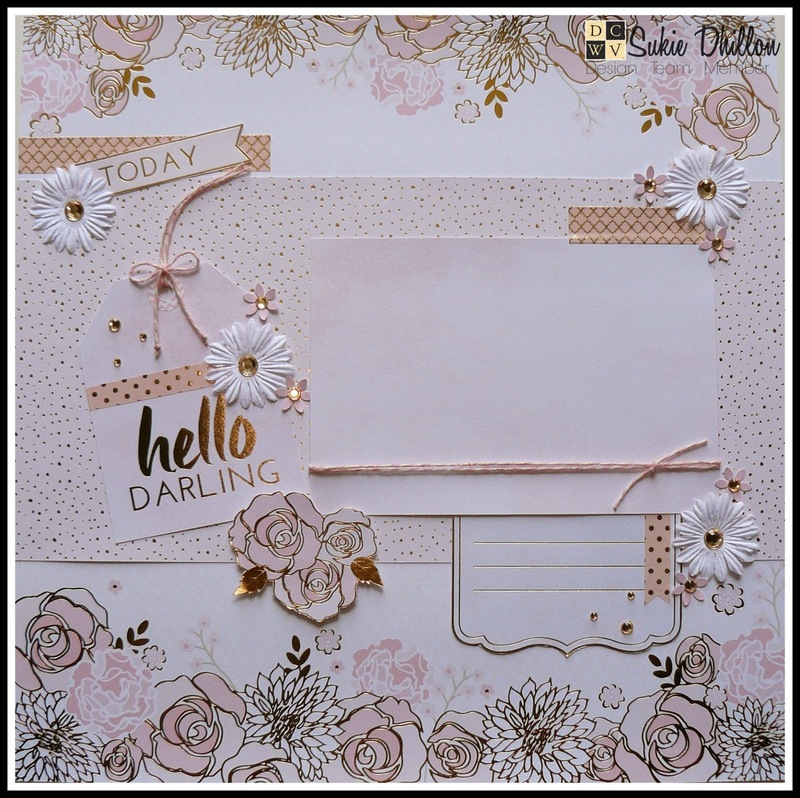 To create my layout, I layered the speckled pink and gold in the center of the floral page and added a photo mat. The photo mat was the focal point of lots of embellishments. The tags were all fussy cut from the tag page which was part of the stack. 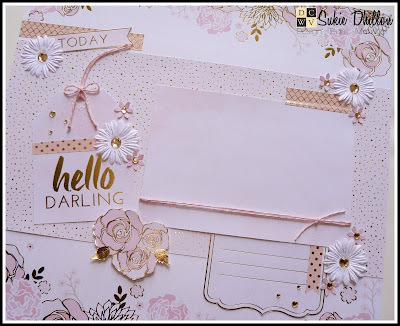 I simply added some coordinating washi tape, paper flowers, bling and some twine accents. The trio of flowers were also fussy cut and popped up on foam dots for added dimension.